Kathryn Sikkink’s Evidence for Hope: Making Human Rights Work in the 21stCentury provides an evidence-based, empirically grounded explanation of success in securing human rights. This is a distinctive work of analytical rigor that is well reasoned and argued with nuance. Sikkink writes with an almost self-effacing willingness to engage criticism without engaging in defensiveness. She is passionately committed to human rights and has strong beliefs about them, but her writing is propelled by genuine questioning and curiosity and an approach that follows the evidence, rather than selectively using the evidence to advance her own theories, convictions, and preferences. 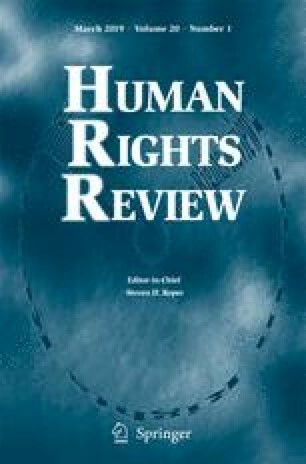 Sikkink argues compellingly that in many areas – including women’s rights, gay rights, disability rights, health provision and health outcomes, and decreasing deaths in war – there have been substantive and even dramatic improvements due, in part, to the human rights movement.